Swan Lake was not the first ballet I had been to, but it was definitely the best. Before I came to Russia, one of the things that I absolutely had to do was to go see a ballet at one of the beautiful theaters. I was so happy that some of my good friends also wanted to go, and we went out to buy tickets. Luckily, we had one of our Russian friends translate for us because the ticket lady at the Alexandrinsky Theater was not very happy that a group of 12 Americans came in and all wanted to pay separately. It took a little bit to get everything sorted out, but all 12 of us had seats in the balcony together to go see Swan Lake on a Sunday night. All of the tickets were only 1,500 rubles, or about 30 American dollars apiece at the time. We were originally told that the tickets were going to be around 100 American dollars apiece, so this was a very nice surprise for us. When Sunday came around, I was very excited. Our group was all dressed up and ready to go. 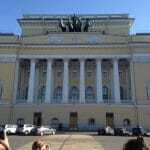 The Alexandrinsky Theater is only about a 10 minute walk from the university, so it was very easy to get to. (Note to all women: wearing brand new heels across the cobblestones of the city is probably not a good idea, as I have learned from experience.) Once we arrived to the theater, we had a very nice usher take us to our seats, which were amazing. Originally we were hoping to sit on the floor, but we ended up on the third floor of the balcony. This was so cool to me, as we were only one box over from the dead center. Being able to put my arms on the railing and looking over everything was a very surreal experience, I felt like Julia Roberts in Pretty Woman when she went to watch the opera. 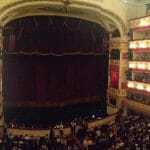 Once the ballet started, I was fully enraptured. I did not really know what the plot was, but it was very easy to figure out. You can always also look the ballet up on Wikipedia before the performance; Wikipedia always has a brief synopsis for major ballets. I really enjoyed all the colorful costumes, and it was obvious that the dancers were very skilled. I was just waiting for the Swan to make her appearance. When she finally did, I was so excited. She was very beautiful, in the pure white tutu and was the best dancer on the stage. Unfortunately photography was prohibited during the performance, as I wanted to get a picture of her dancing with the Prince in the dramatic lighting. After intermission, I was not expecting to see the Black Swan, but that was my favorite part of the whole ballet. The contrast with the music and dancing of the White Swan was very drastic, and everyone was on the edge of their seat the whole time the Black Swan was performing. The end fight scene was also very dramatic, and beautifully choreographed. 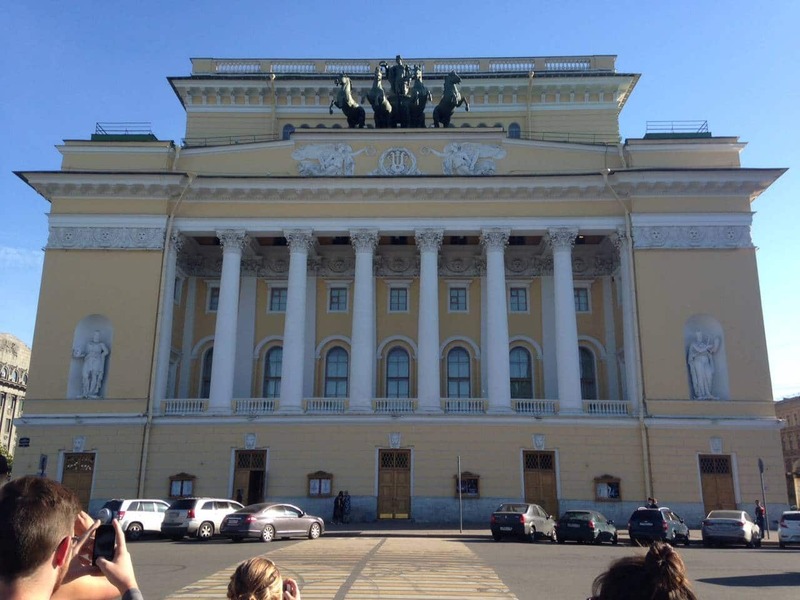 Overall, seeing Swan Lake at the Alexandrinsky Theater has been the one of the highlights of my trip so far. I am so glad I got to experience a real ballet in Russia, and I would recommend this to anyone who is visiting St. Petersburg. 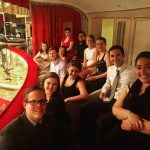 It was a beautiful performance, a bonding experience with my classmates, and not very expensive at all. Taylor Sirch is currently a junior at The Ohio State University in Columbus, Ohio, double majoring in International Studies and Russian language with a minor in World Politics. She is studying Russian as a Second Language through the summer of 2015 in St. Petersburg and learning more about Russian culture first hand. In the future, she hopes to work for the US governement in a diplomatic role between the United States and Russia.